A seashell tufting is absolutely stunning. 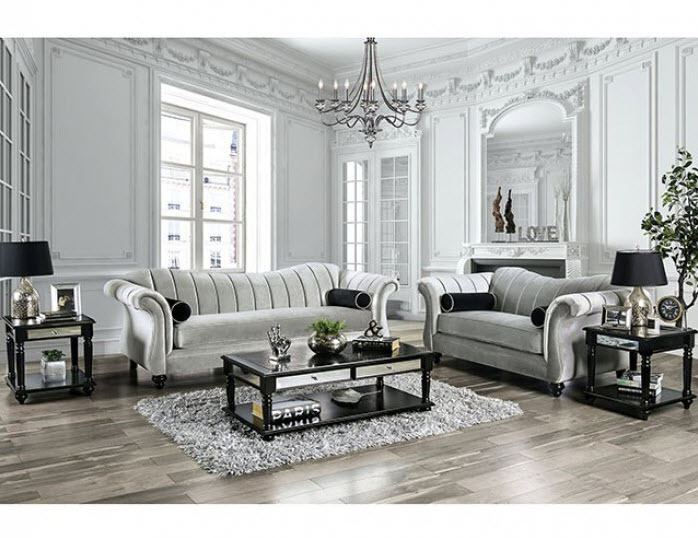 The rolling curves of sofa set design is enhanced by the deep lines of the tufting. Please note that the base price only includes (1) Sofa. Please add the additional loveseat to customize this set to your liking.